So I don't get it! Maybe someone can explain it to me! There are those who grow and sell the food, and there are those who buy and consume the food. Why wouldn't anyone want to be the person doing the selling instead of that person doing the buying? If you had the ability to drill for oil, pump, store, refine, and maintain oil facilities, verses someone who is completely dependant on you for any oil, then why wouldn't anyone want to be the person selling the oil instead of the one who is dependant? These days, what's up is down and what's down is up side down. Everything is bass ackwords. It is all turned around and the President is not working for you and me. Well, how about the President of the United States, Barack Hussein Obama, going to Brazil and giving them 10 Billion Dollars to finance them so that they can drill for oil in the Gulf of Mexico. Is that proof enough, you want more? Well then, how about him adding insult to injury when he tells them that along with giving them the $10 Billion that once they start producing oil that "We want to be your best customers!" The problem here has nothing to do with Brazil or it's great people. 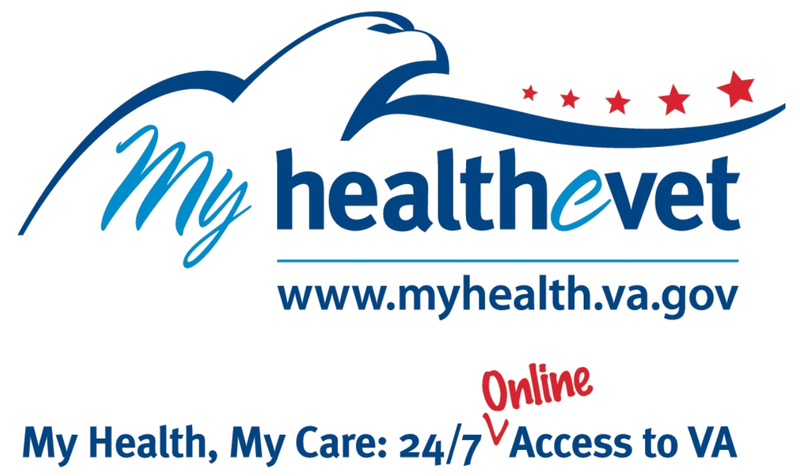 It has to do with our representatives, and specifically it has to do with our Chief Representative Obama. Why can't anyone tell him that it isn't wrong to be self-sufficient as a Nation? Why hasn't anyone told him that we as a Nation should not have to depend on another nation for anything to keep us alive? Someone should explain to him, that as a Nation, we should not be on constant life-support completely dependant on other countries. Yes, America is more and more on life-support. The U.S. Census Bureau and the U.S. Bureau of Economic Analysis, through the Department of Commerce, announced on March 11th of this year that there was a total January exports of $167.7 billion and imports of $214.1 billion resulted in a goods and services deficit of $46.3 billion, up from $40.3 billion in December. And hey, it's getting worse! Our goods and services deficit increased $11.7 billion from January of 2010 to January of this year. And since January of 2009, when Obama took over, his policies have had horrible consequences on our having to increase imported goods. In January, imports of foods, feeds, and beverages were the highest on record. In January, imports of goods, of industrial supplies, of automotive vehicles were the highest since October of 2008. In January, petroleum and non-petroleum imports were the highest since July of 2008. The January deficit with OPEC was the highest since October 2008. The January imports from OPEC were the highest since October 2008. In January the average price per barrel of crude oil was $84.34. That was the highest since October 2008 when it was $91.73 a barrel. Crude oil is right now at $104.27 a barrel. We NEED the countries in the Middle East to provide us oil. We NEED China for financial stability and most of our manufactured goods. We NEED Japan for our cars, Europe for our steel and other goods, South America for more and more food, and so on and so on! We seems that we have become a Nation in need. How can I say that? It's because I believe that we have Federal and States governments who are bent on making our people more and more dependant on others. 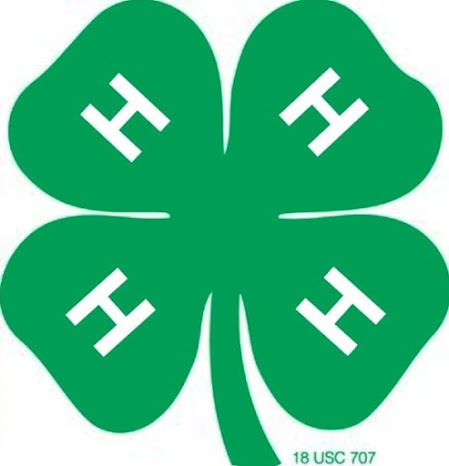 Where do I get this from? From a Federal government who is more and more willing to turn over our sovereignty to the over-reaching influences of the U.N.. From the reality that the laws of our land can be held as second to Muslim Sharia Law in our courts just like they were recently in a Florida court. From the whole notion that we as a free people cannot drill in our own country to provide for America First. That's where I get this from. It is insane! It is surreal! It is bizarre! 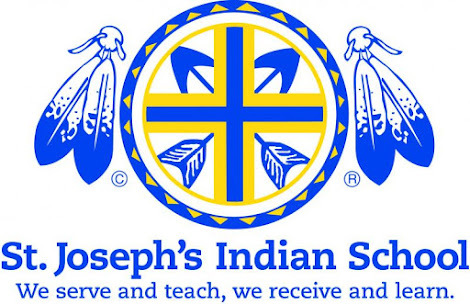 They tell us that they are concerned with the land, the air, the water, and the people. But their concern is limited to only the land, the air, and the water, and not the American people. And how do they do this? By limiting America's ability to live to it's fullest capabilities. They limit America's ability to provide for itself. They limit us in the same exact way that other Despots like Gaddafi and Chavez deny their subjects the right to basic freedoms. 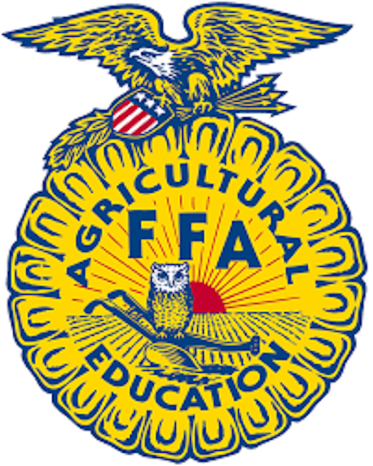 They attempt to enslave Americans through ensuring our dependence on other countries. 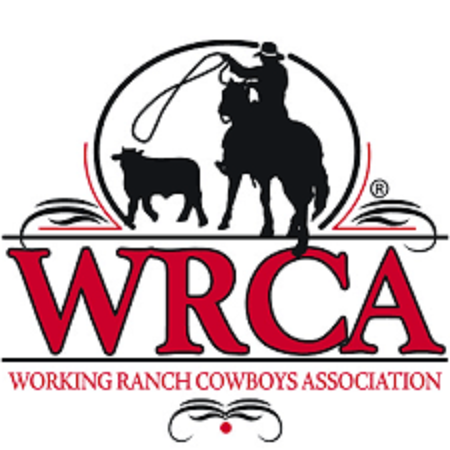 And what do we have working for us? We have a President who works as an agent for other Nations so that Americans can be their "best customers" in the future. Hawaii's 50th State Big Time Wrestling! Every week! Twice a week! At the Civic Auditorium, and at the KGMB television studios! Those were the days! It was when wrestling was fun. Now after saying that, I have to admit that I have a hard time understanding Professional Wrestling these days. For me, it was never even close to vulgar and over the top as it is these days. What it was was tough hard hitting wrestling. It had wrestling and judo moves. It had brawlers and some pretty rough characters. They went 3 rounds instead of just one, there wasn't a lot of talking your opponent into submission. There were a lot of torturous moves like the Figure Four Leg Lock, the Boston Crab, the Abdominal Stretch, the Japanese Arm Bar, the Wrist Lock, the Spinning Toe Hold, Chin locks, Sleeper Hold, and of course the Claw. What it didn't have was today's silly acrobatics and elbow smashes from guys so full of tattoos that they look like they just got out of a prison somewhere near you. In the old days wrestlers knew how to wrestle -- and brawl if it came down to it. 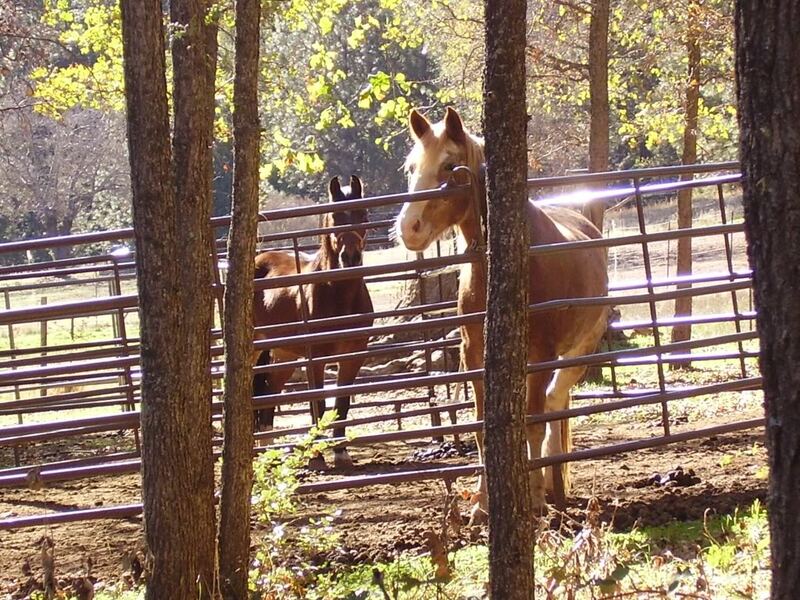 They were tough and ready to beef! Well lately after a trip down memory lane, I decided to Google a couple of my boyhood Heroes. One was the great "Handsome" Johnny Barend, another was definitely Lord James "Tally Ho" Blears, and the last was a great wrestler by the name of "Gentleman" Jim Hady. Most who remember him would say that Genteman Jim Hady was the best ever seen, bar none.﻿ He was a wrestler's wrestler. It's true, "Gentleman" Jim Hady was a wrestler's wrestler. He knew moves and holds. But at the same time, he was a scrapper and could take it to fist city if his opponent wanted to take it there. He was tough, and yes he also was loved in Hawaii. On January 13, 1969, a few days after my birthday, I remember hearing on the radio that Jim Hady died of a heart attack at the age of 38. The story of his passing, the way I remember it, was that he went home after a match and said he wasn't feeling well. 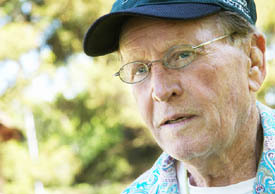 He and his wife drove to a local hospital in Honolulu, and there Jim Hady died of a heart attack. He was only in his late 30s, he was married, and he passed away two days after my 13th birthday. As a youngster, to have on of my "heroes" die so unexpected -- well, it broke my heart. 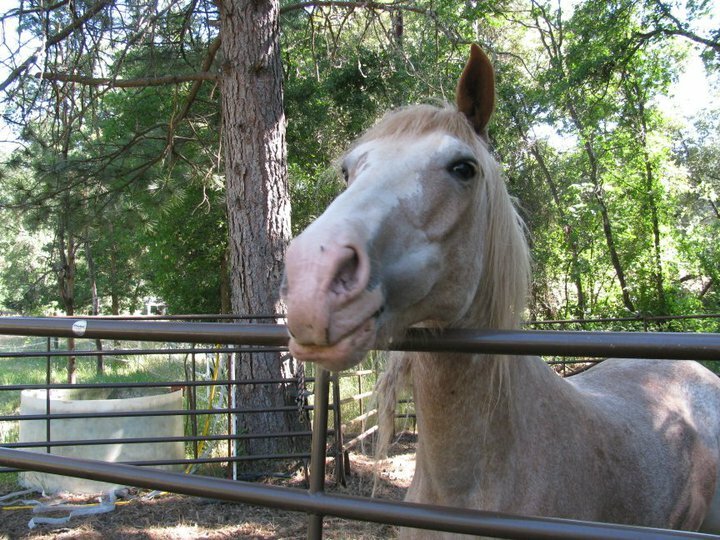 Right after he passed away, there was a memorial for "Gentleman" Jim Hady that I can still see clearly today. A hush went over the arena and the house lights at the Civic Auditorium were turned off and only the ring lights were on. The ring remained empty as all of the wrestlers, good guys and bad, all filed out to take a position on the floor surrounding the ring. They lined the ring, and all face the center of the ring. With the auditorium in almost total darkness, the time keeper rang the ringbell slowly for a ten count. There were no other sound in the entire place other than the sound of that ring bell as it toll. There was no shuffling of chairs or talking or anything. After the last bell, the wrestlers waited a brief moment before they turned toward the locker-rooms and silently filed away from the ring. There was no music. They simply left without fanfare or event. The house lights came back on, and then into the ring climbed an announcer who quietly watched as the last wrestler walked off. 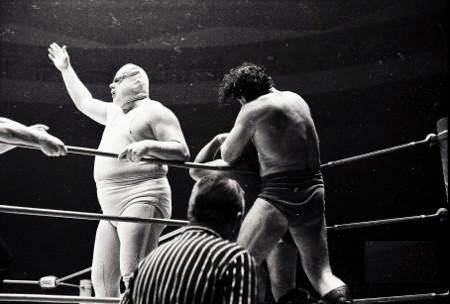 Once the last wrestler was gone, the announcer called for the mic to be lowered as it was in those days in the middle of the ring -- and he simply said "thank you" before announcing the first match. It was the finest memorial that I have ever witnessed. 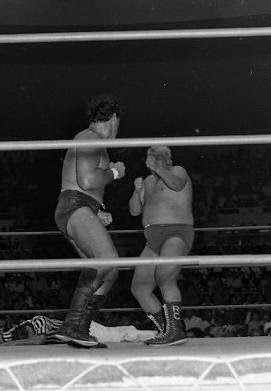 One of his last matches was against Gene Kiniski for the NWA World Title. I saw that match. And yes, Jim Hady was a "Good Guy." He was always a "Good Guy." I guess thinking about it right now, it must be quite a testament to him that someone still remembers him after more than 40 years. And yes, I remember him fondly. ﻿I remember his signing autographs before his matches. 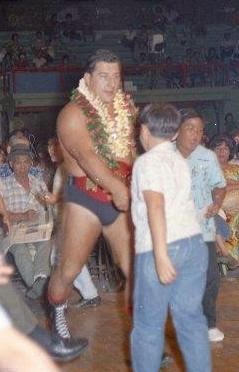 I remember on Saturdays at the KGMB Television Studios how he'd come out to talk to us in the audience, especially us kids, before the matches started. He would even call out help from another wrestler to demonstrate different holds. He'd show us how they worked and their effects. It was great stuff! A few months ago I searched both the Cauliflower Alley Club (CAC) and the Pro Wrestling Hall of Fame (PWHF) websites to check their lists of inductees to see if any of the great Wrestlers from Hawaii had made their rooster. Because "Gentleman" Jim Hady passed away so young, I didn't think I'd find him listed. Though he had some great matches, he was just hitting his peak when he passed away. Because of that, sorry to say, I doubt if he would be remembered by too many today. 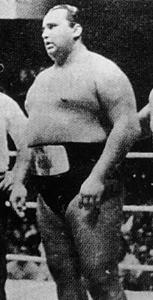 The opposite is not true about Lord Blears and Handsome Johnny Barend who had very long carreers in Wrestling. 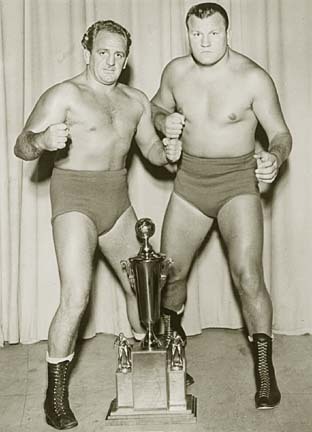 And frankly, I really couldn't believe that any Wrestling organization would fail to remember those two wrestlers who left their marks on the "Sport of Wrestling" like no other two back in the golden era of wrestling of the 1950s, 60s, and 70s. Lord James "Tally-Ho" Blears and "Handsome" Johnny Barend helped make Wrestling popular and laid the groundwork for it being entertainment. ﻿I saw that Gene Kiniski is an inductee in both CAC and the PWHF. 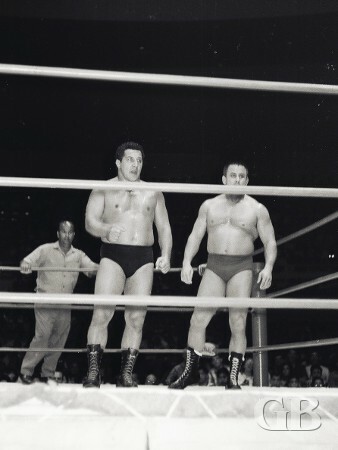 Kiniski was one half of a Champion Tag Team back in the 1950s that kept the title for years. ﻿﻿The other half of that Tag Team was his partner Lord James "Tally Ho" Blears. 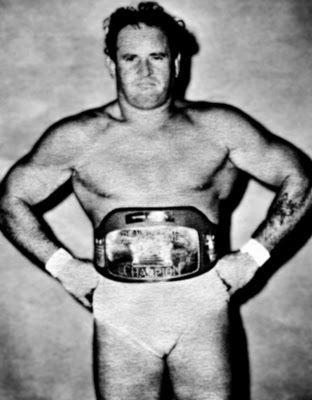 Prior to coming to Hawaii, yes Lord James Blears held the World Tag Team Championship Title with Gene Kiniski. 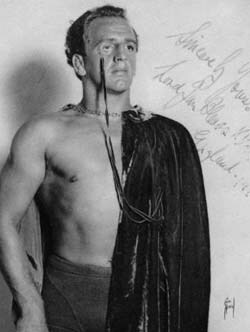 Lord Blears was one of the great British Wrestlers who entertained thousands after serving in World War II. During Wold War II, James Blears survived a harrowing experience at sea after the Dutch merchant ship Tjisalak, that he was serving on, was sunk by a Japanese submarine. The Tjisalak was a 5787 ton Dutch freighter used by the Allies to transport supplies arcoss the Indian Ocean. It was sunk by Japanese sub I-8 on March 26th, 1944. Since James Blears was too young to join the British Royal Navy at the time, he signed on with the Tjisalak since it needed an English radioman and he knew Morse Code. The Japanese sub that had torpedoed them rose out of the water to take survivors on board. But that was not what took place, instead the sailors of the Tjisalak were made to kneel down in a line and a ranking Japanese officer came onto the deck of the submarine. He yelled at the sailors for a while, then he was handed a katana sword and proceeded to decapitate the first sailor in the line up. The Japanese officer yelled some more and decapitated the next sailor. Seeing this, James Blears said that when he murdered the third sailor he stood up and dove back into the ocean. A couple of his shipmates followed his lead and did so as well. The Japanese shot into the water and one of the sailors had landed on top of James Blears and was killed. After eluding machine gun bullets, he eventually swam back to the site of where his ship went down and found a makeshift raft. He and a few others were eventually rescued by the S.S. James Wilder. Starting in 1946, he wrestled on the Mainland, the Continental United States for years and started taking all tag team titles in 1947. 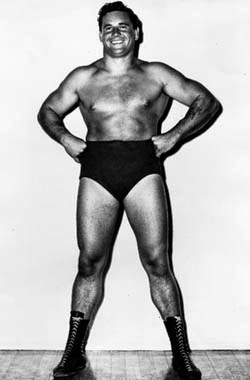 After taking the Hawaii Tag Team titles in during the 1950s and becoming the Hawaii Heavyweight Champion in 1961, he stayed with 50th State Wrestling in Hawaii from then until its end in 1979. After wrestling full time from 1946 until late 1965, he went into a sort of semi-retirement. It was after that when he began to focus on television, announcing wrestling matches, and doing his famous locker room interviews. Besides training many of the wrestlers on the fundamentals of wrestling, he created many of the "scripts" and "personas" for the wrestlers. 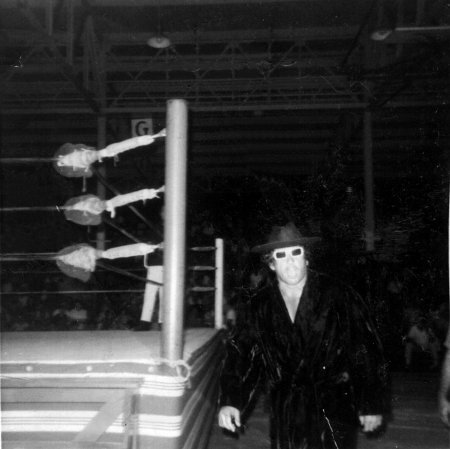 It was Lord Blears who developed the unique personalities, the costuming, and most of the "story-lines" that was 50th State Wrestling. In fact, it was Lord Blears who came up with the idea to use the soundtrack from the movie Those Magnificent Men in Their Flying Machines as a theme song to signal Johnny Barend’s entrance to the studio for his interveiws. It was a brilliant use of music to define a complex Handsome Johnny's crazy personality. 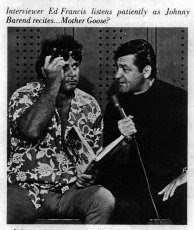 And yes, besides being a World War II hero and wrestler, while still wrestling, Lord Blears became the "creator" of the "Wrestler Interview" used in Hawaii's 50th State Big Time Wrestling -- and wrestling today. That format became the prototype for Wrestler Interviews industry wide. It was copied throughout the mainland U.S. and is still used today. 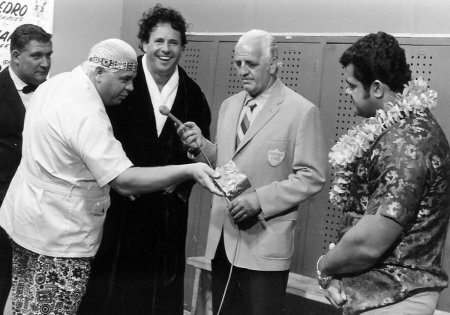 ﻿﻿﻿Lord Blears was the man behind the success of Hawaii's 50th State Big Time Wrestling. He was the voice of 50th STATE WRESTLING as well as promoter Ed Francis' partner and matchmaker. 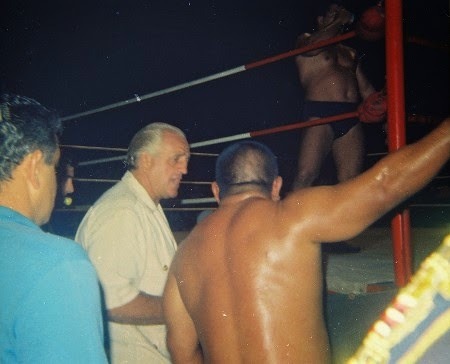 Lord Blears had many contacts in the world of professional wrestling and was instrumental in bringing many of the top wrestling talents of the day to Hawaii. 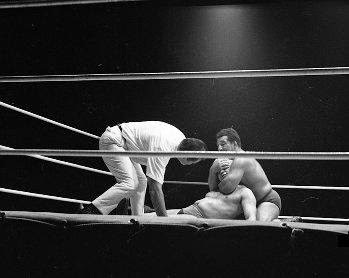 In fact, he helped Giant Baba set up his pro wrestling promotion in Japan. And yes, he was responsible for starting and jump-starting the careers of many future pro wrestling stars, including Curtis Iaukea and The Destroyer. 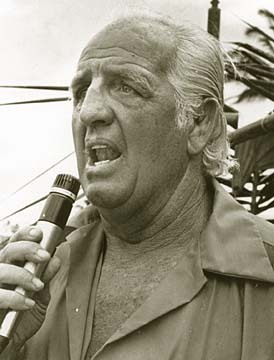 Due to his announcing experience and British accent and idioms, James Blears became a popular local celebrity doing television commercials and announcing surfing events. 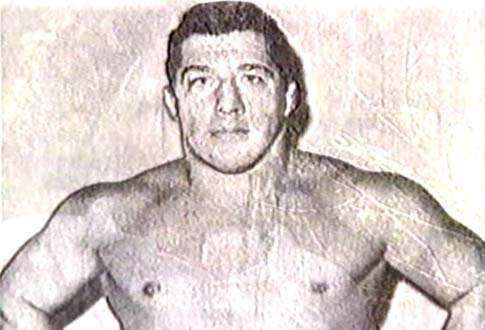 Besides his championships on the Mainland, as a wrestler he won the Hawaiian Tag Team Championships with the great Samoan wrestler Neff Maiava in 1961. For me, I remember "Uncle" Neff who was my grandfather's friend and business associate in the tree trimming business on Oahu. I remember him and his family coming over for dinner and listening to his stories about the wrestlers. Now retired, to my knowledge, Lord James Blears still lives in Hawaii. For what Lord James "Tally Ho" Blears gave to wrestling, as one of the pioneers of professional wrestling, he should be recognized in the Pro Wrestling Hall of Fame (PWHF) for his more than 40 plus years in Wrestling. Lord James Blears was born in 1924, so he'd be 86 or 87. He should be recognized while he's still here to appreciate the honor. Of course, the other wrestler who certainly should be recognized in the Pro Wrestling Hall of Fame (PWHF) is "Handsome" Johnny Barend. Handsome Johnny Barend -- Our Prince Pupule! 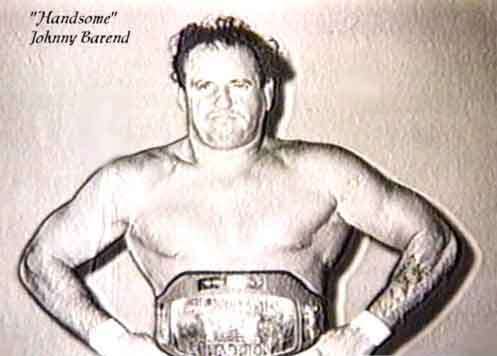 "Handsome" Johnny Barend was one of the All-Time Greatest Tag Team wrestlers who won Championship Titles with 9 different partners. That, my friends, is a record that no one else has ever matched or beaten. He was tougher than tough. His was feared and respected. He was a "good guy," a "bad guy," and a "good /bad guy." He was always loved in Hawaii. Still is today. 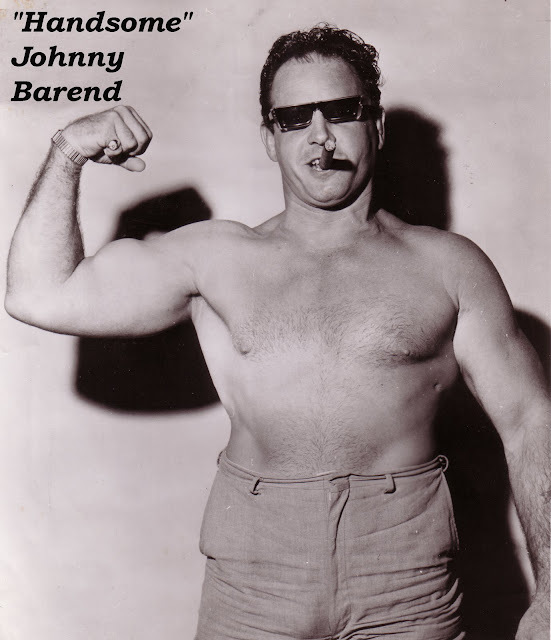 Handsome Johnny Barend first appeared in Hawaii in September of 1955. But it wasn't until September of 1964 that Handsome Johnny returns to Hawaii and wrestles under new promoter Ed Francis. On October 6, 1964, Handsome Johnny won the Hawaiian Heavyweight Championship title over Neff Maiava in an elimination match. The Hawaiian title was vacated when then champion Gene Kiniski left Hawaii and did not return for a few years. 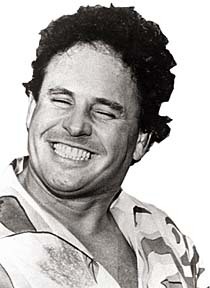 "Handsome Johnny" remained in Hawaii until December 1964. During that time, he had memorable battles with Nick Bockwinkel, Curtis Iaukea, Ripper Collins, and many others. Then after going through a match that ended in "no contest" with Curtis "Da Bull" Iaukea on December 4, 1964, Handsome Johnny left Hawaii again. 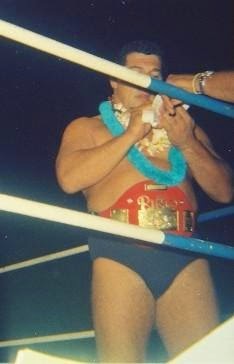 As a result, Handsome Johnny was stripped of his Hawaiian Championship belt by promoter Ed Francis. 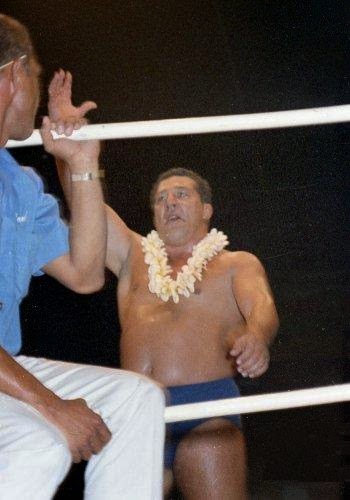 He returns to Hawaii in January of 1966 and continued wrestling until December 1968. During that time, Handsome Johnny became an even bigger crowd favorite. 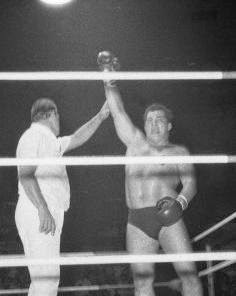 On January 19, 1966, Handsome Johnny captured the United States Heavyweight title from Nick Kozak. 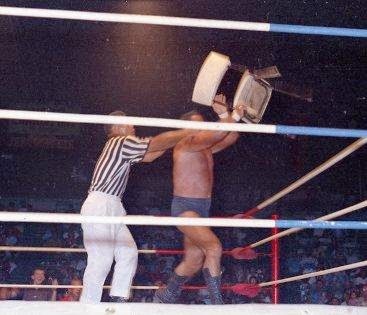 Then during the following year, he also defended the United States Championship until March 1, 1967 when he lost the title to Curtis "Da Bull" Iaukea. It wasn't until December 25, 1967, that Handsome Johnny defeated Curtis "Da Bull" Iaukea for the United States title in a rematch. 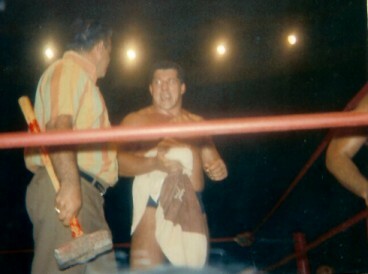 He would subsequently lose the title again, but this time to "Gentlemen" Jim Hady on April 24, 1968. From 1966 until December 1968, Handsome Johnny held the Hawaiian Tag Team title with several partners. He held it with Ripper Collins (1966), Hans Mortier (1967), Jim Hady (1967), and The Magnificent Maurice (1968). Handsome Johnny was married in the ring in September of 1967 at the Honolulu International Center, the HIC Arena. 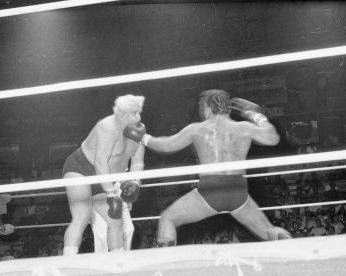 In the ring with him was his Best Man, none other than "Gentleman" Jim Hady. 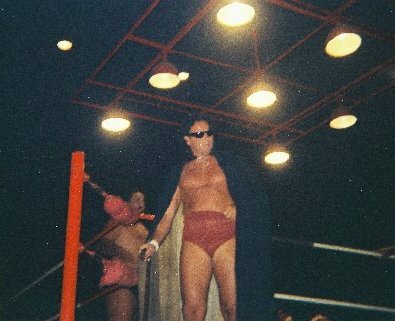 Yes, besides being the 2 time NWA North American (Hawaii) Champion, and 2 time NWA United States Heavyweight (Hawaii) Champion, that fact is that Johnny Barend was actually married at the HIC Arena in the ring in 1969 before the start of that night's events. After the wedding Handsome Johnny and Gentlemen Jim Hady defended their Hawaiian tag titles and lost to Curtis "Da Bull" Iaukea and Dutch Schultz. 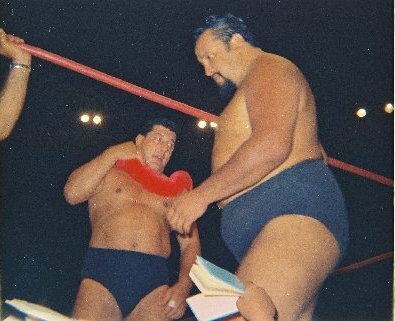 In September of 1968, Handsome Johnny Barend defeated Klondike Bill to win the Hawaiian Heavyweight Championship. But then on December 25, 1968, he failed to appear to defend his title against Nick Bockwinkel and was forced to give up the title to Bockwinkel. Handsome Johnny returned to Hawaii in December 1969 and defeated Pedro Morales for the North American title on December 25, 1969. 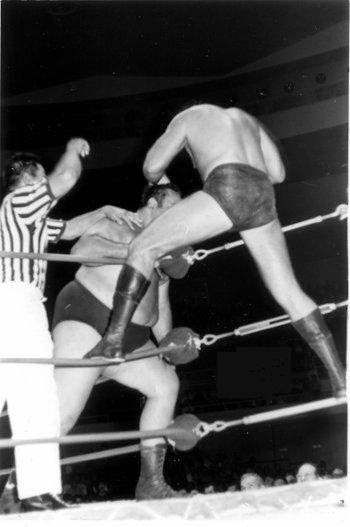 Morales wins it back on August 5, 1970. 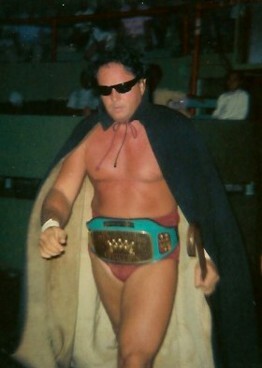 He also held the Hawaiian Tag Team title with Ripper Collins (1969-1970) and Billy Robinson (1970). 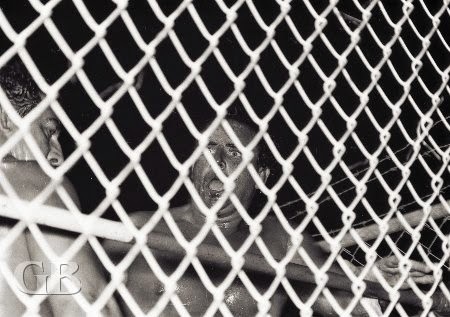 On December 8, 1970, he defeated Ripper Collins for the Hawaiian title in a steel cage match. After the match, he was attacked by Collins and Curtis Iaukea. Subsequently, Barend again left Hawaii and Promoter Ed Francis returned the Hawaiian title to Collins. 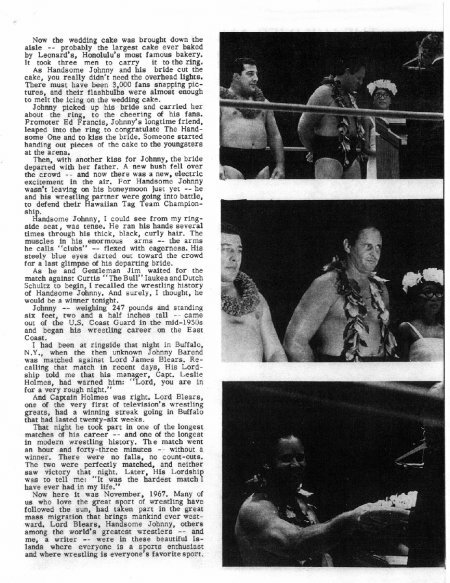 In December of 1971, Handsome Johnny returned to Hawaii and captured the North American title from Sweet Daddy Siki on March 22, 1972. In 1972, my Dad was out of work and left to go to the Mainland (California) to find work. My Mom, along with two of my brothers and my two sisters left for California in June. I left for California in August. Not long after that, I enlisted in the United States Marine Corps. I remember the day I got the call from my grandfather telling me that there was going to be a Main Event for the NWA World Heavyweight Championship between Handsome Johnny Barend and Dory Funk Jr. who held the title. Later I found out that each wrestler gained a fall, but neither wrestler could win the third and deciding fall and the time ran out. Yes, in those days it was two out of three falls to win a match. Because time ran out, the match was declared a "draw." 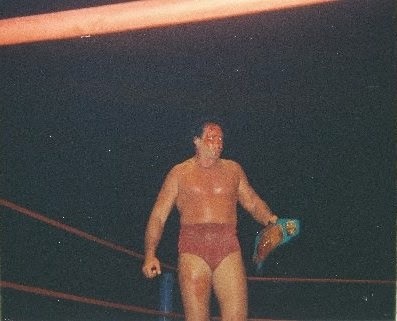 Because it was a draw, Dory Funk Jr. retained the NWA title. It was Handsome Johnny Barend's last match in Hawaii. When I found that out, I couldn't believe it. One of my heroes was gone. Then later, I heard that Handsome Johnny Barend suffered a chest injury and that was what ended his career in Professional Wrestling. 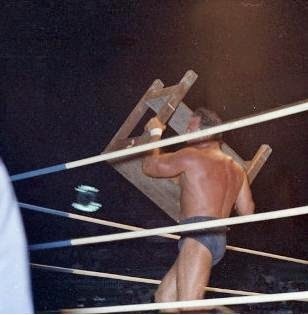 Though he remained the North American Champion until October 1972, after that injury, he retired from wrestling. And yes, anyone from Hawaii might find it interesting to note that Handsome Johnny appeared on the last Wrestling Card at the old Civic Auditorium in March 1972. 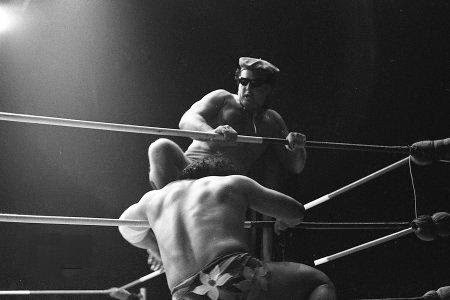 On that night, the last night that a ringbell was heard at the Old Civic, he teamed up with Sam Steamboat and defeated Maddog Maine and Sweet Daddy Siki to capture the Hawaiian Tag Team title. A short time later, a vacant Civic Auditorium which had been a landmark on Oahu for more years than most can remember was demolished. Handsome Johnny Barend was outrageous, and his interviews with his trademark "Mister Francis" growl are legendary. Sure he had charisma, but he also came off as if he were a bit nuts. But frankly, we loved it. In Hawaii, he was a huge Celebrity. 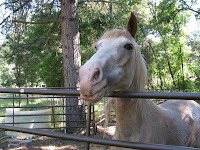 He was as big as singer Don Ho and actor Jack Lord of Hawaii 5-0 fame. He embraced Hawaii as his home, and the people in Hawaii embraced him as our own. Yes, we loved him. Handsome Johnny Barend created a character that was cemented in the memories of anyone who followed wrestling in Hawaii back in those days. 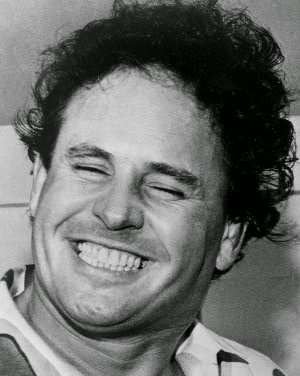 A sports writer talking about Handsome Johnny Barend wrote: "Barend's shtick could only work with a good straight man. 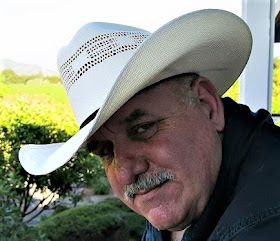 That was the role for Ed Francis, who was the host of the 50th State Wrestling program in the 1960s and early '70s, as well as the owner/promoter, or occasionally, Lord James Blears." "We're going to go talk to Handsome Johnny, and see what he has to say," Ed Francis would say, and then it would start. Then as if out of the blue, he'd go into some fairy tale about yellow rats. For me, heck I can still remember him opening up a supposedly Mother Goose book of fairy tales and start talking about those "Yellow rats, Mister Francis! Those yellow rats!" It was always great entertainment even if it wasn't always about his upcoming bout. It may have just been about some of the people he was targeting as "bad guys", as "yellow rats!" "He did a coo-coo bit. Promoter Ed Francis was always looking at the camera, kind of out of the corner of his eye as if to say 'hey are you getting this? This is as much to me as it is to you.' At that time, there were four channels in Honolulu, and 50% of the viewership was on this one channel (KGMB) at 4:30 in the afternoon until 6 p.m. It was just unreal, it was great, it was just too much." 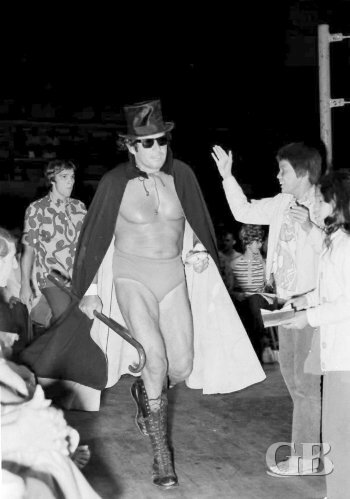 "With his knee-high wrestling boots, dark glasses, top hat and cigar, Barend adopted the TV 'Batman' theme and later the theme from Those Magnificent Men in Their Flying Machines (soundtrack) to enhance his gimmick of a being a mysterious wacko telling fractured fairy tales about his opponents. I think Johnny's bubble shifted to one side somewhere along the way and never came back straight." Handsome Johnny Barend is now around 80 years of age, and to my knowledge he's living in his native New York along with his wife Annie. Yes, the small local girl who he married in the ring many years ago is still his bride. 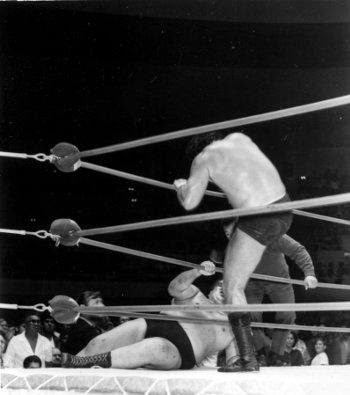 Since the other morning when I found out that Curtis "Da Bull" Iaukea had passed away, I started thinking about growing up in Hawaii and going to the Civic and then later to the HIC Arena for wrestling with my Grandfather. It was a great time. It was a time when I learned that good guys and bad guys were usually clearly defined. Yet, I also learned that good guys could turn bad and bad guys could find the light. It was a time when I saw how some men were very tactical while some were just crazier than most. Like thousands of others, I loved watching Gentlemen Jim Hady and Handsome Johnny Barend when they were a tag team. They couldn't be beaten by anyone. Handsome Johnny Barend was my favorite. I saw Handsome Johnny wrestle many many times when I was a kid, and I remember him like it was yesterday. He was tough. As tough as they come. He was insane and fun. And though I see both Handsome Johnny and Lord James "Tally Ho" Blears as immortals, I really wish that someone would look at the contributions of both. 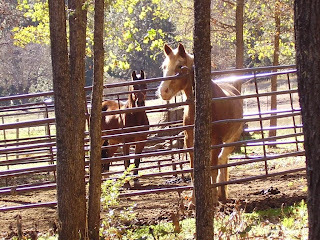 And if so, please look at them before they are no longer with us. My friends, thanks for the memories is so small a sentiment when I think back at how these men were my Heroes once upon a time. They both really need to be recognized. One last note. During my years as a U.S. Marine, especially during the tough days, I would remember how Handsome Johnny would take a beating during a match but never give up. From him, I learned at a young age, that sometimes he would win and other times he wouldn't - but more times than not he'd win because he'd always keep fighting. And yes, years after he left wrestling, he was still a great source of motivation for me. I'd remember how Handsome Johnny never quit! So as Handsome Johnny would say at the end of his interviews, "Mabuhi!" Long live, Handsome Johnny! And again, thanks! After posting this article, I got some pretty good responses from others who remember him and Lord Blears and even Jim Hady. On September 20th, 2011, I was contacted for a statement regarding the news that Johnny Barend had passed away from natural causes. He was 82 years old. I told the man contacting me that most of us who grew up in Hawaii during that period will always see him as a Legend in Hawaii. 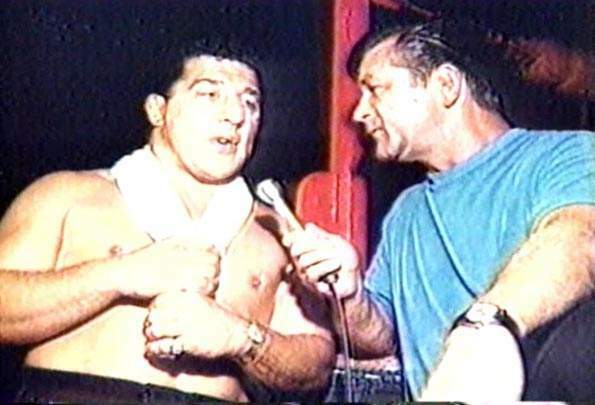 He will always be remembered for the wacky ways he dressed, for his crazy interviews with promoter Ed Francis, for his fractured children's fairy tales describing his opponents, and most of all for his gravel voice when he said "Mister Frances!" -- It always came out "Mistah Francis!" 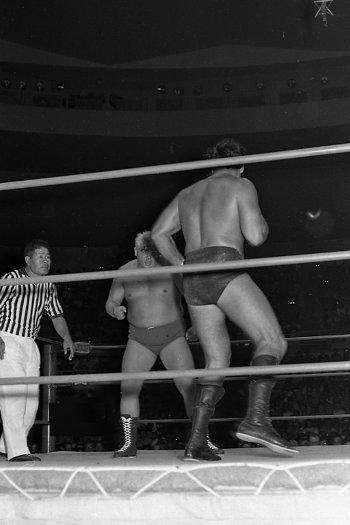 His marriage in the ring to a local girl before a sold-out crowd at the Honolulu International Center will be remembered by everyone there, his love for Hawaii was always there. 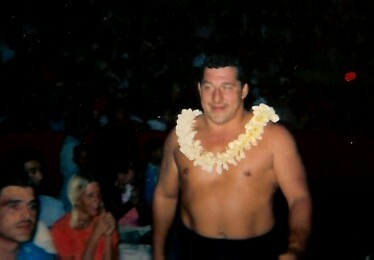 Whether a wrestling fan or not, most of us from Hawaii remember Handsome Johnny Barend for one reason or another. And yes, as he was missed in the world of wrestling when he left so suddenly, he is missed today. Right now, while my prayers are with his family, I'm sure that he will certainly be missed by his family and friends. But really, if I'm asked why would I miss someone who I watched wrestle when I was just a kid and really did not know personally? Someone who I only knew from his ability to brawl, and yes his antics in and out of the ring? Well, that's actually easy to answer because for me, he has been missed for so many reasons for many many years. Not only because he was a big part of my childhood, but because he lives in my most fondest memories of a growing up in a time when Hawaii as no so crowded, when Hawaii felt more "Local" than "Mainland." when my family looked forward to going up to my grandfather's ranch in Kunia where we didn't have electricity, television, and actually sat around playing checkers or "talking story" while listening to the Hawaii Islanders play baseball on the radio. It was a time, when we didn't have cell phones, and the world was a lot less complicated. While Handsome Johnny may have passed away, I can honestly say that he, like Gentleman Jim Hady and Lord James "Tally Ho" Blears and even my grandfather, will live forever. 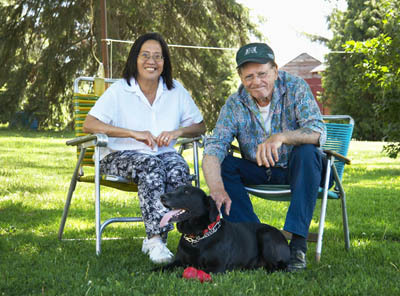 They are a big part of a time when we drank water from our garden hoses, when we kids played outside, when being sent to our rooms was a real punishment and bad thing to have happen, when no one thought twice about leaving their homes with the doors unlocked, when milk was delivered in bottles, and gas was under a dollar a gallon. Handsome Johnny was part of a time when kids like me learned to love our country, knew it was OK to pray for help before a math test, and actually said the Pledge of Allegiance in schools without fear of persecution.. Yes, he lives in a time when people really did respect others more, were more polite, when a jerk knew real well that before he said something insulting to someone -- that his getting a punch in the nose was a real consequence of him doing so. It was a time when a crazy character on television, a wrestler, a good guy named Handsome Johnny Barend, could be crazy, smoke a cigar on television, and even do things that bad guys do if he needed to. And no, no one thought anything of it because he was simply being who he was, our Prince Pupule, a crazy man, who was indeed his own man. He lives now only in my memories of crazy fairy tales and days gone by. And in my mind, I can still hear his gravel voice say, "Mistah Francis!" when reading his stories of yellow rats and cowards.